If you are looking for Rube Goldberg Machine information you are in for a treat. If you have not yet discovered these fascinating machines you are really going to love them. 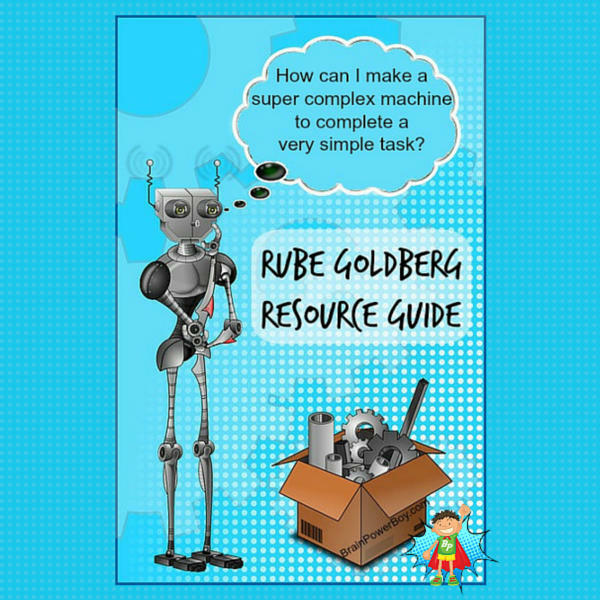 Either way, we have a great collection of Rube Goldberg machine information including videos, free games, apps, books, toys and information on making your own Rube. Use these Rube Goldberg Ideas to get you started. 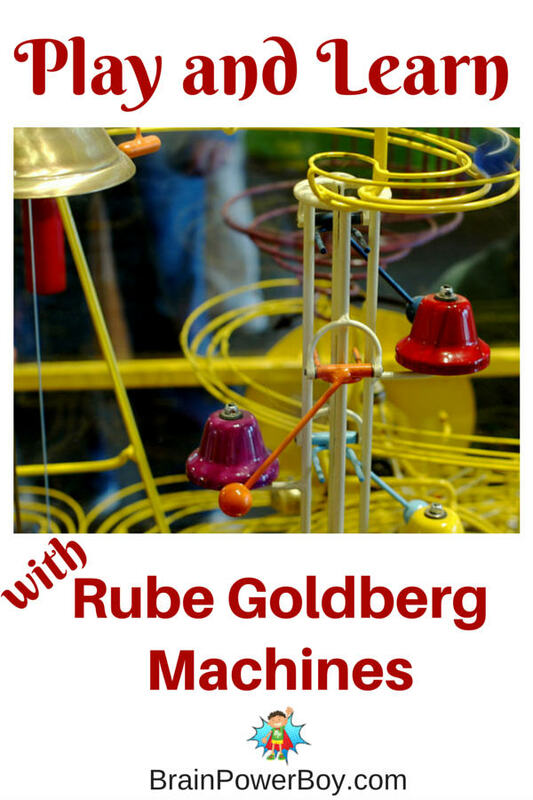 I invite you to Play and Learn with Rube Goldberg and his wonderful machines. Rube Goldberg is best known for his drawings of complicated machines designed to complete simple tasks. Many know he was a cartoonist but did you know that he was also an inventor and an engineer? He won a Pulitzer Prize for his political cartoons as well. We searched out the very best games and found the ones that were fun to play and free! Goldburger to Go is short game with questions asking what to do next. You can get tips and hints. This is a good game for beginners as you fix (with a tiny wrench) the board to work properly instead of having to put things in place. Tom and Jerry! Tom’s Trap-o-Matic is neat but pretty hard. For some reason we had trouble making our contraptions work on occasion, even though it looked like everything was lined up correctly and should go fine. Oh well, it gave us lots of chances to experiment. If you have a cartoon fan on your hands you might want to give this one a go. Awesome and one of our favorites! Dynamic Systems is a great game, very challenging as they go on, and a ton of fun. I was really excited to find these. The object is to get the metal ball into the cup. Simple? Hmm. There are neat added parts as you go along like bouncing platforms, crates and dominos. Puzzlingly delightful. Wallace and Grommet presents Invention Suspension: Cracking ‘Copter Capers. I am a fan of Wallace and Grommet—there, I admitted it 🙂 This is a lot of fun and very clever. If, by chance, your helicopter– um, goes down the chute because you have never flown a helicopter before and you had no idea what you were doing and were slamming into walls and then it just seemed to fall into the chute, just fly back out! LOL Anyway, lots of fun to be had with the helicopter and even more once you get all of the pieces to the workshop. Want more games? We have more Rube Goldberg games here. There are several apps that are Rube Goldberg based. 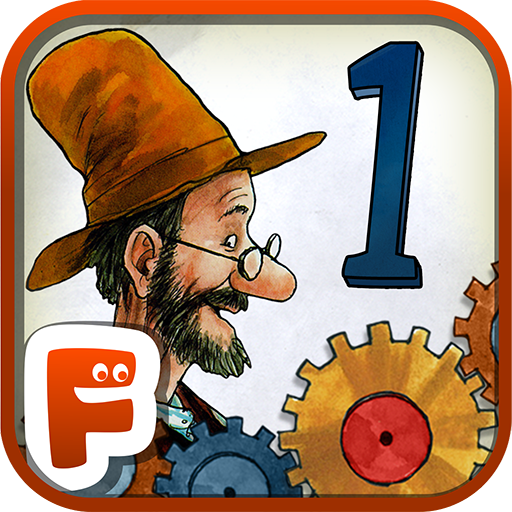 Pettson’s Inventions , Pettson’s Inventions 2 , Pettson’s Inventions 3, and Pettson’s Inventions Deluxe. We ended up doing a whole article on the wonderful books that feature information about Rube Goldberg and share his cartoons and information about the wacky machines. Click on this link to take you to the Rube Goldberg Books list. Mousetrap is likely the best known Rube Goldberg machine game. We have it, and the pieces are used on their own as often as they are within in the game. 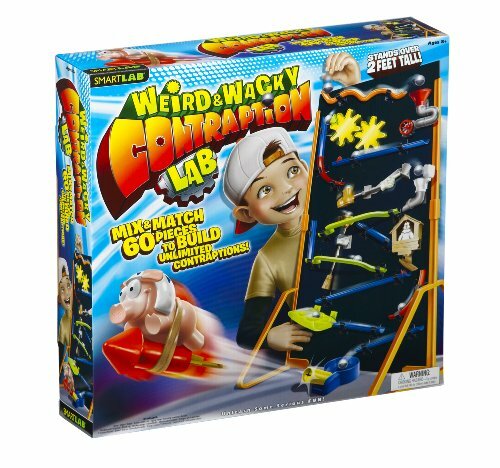 I think Weird and Wacky Contraption Lab from SmartLab Toys looks pretty darn neat. Click through on the picture to see the 2 foot board you can build on. We have other SmartLab toys and have been happy with them–this one looks like a lot of fun. 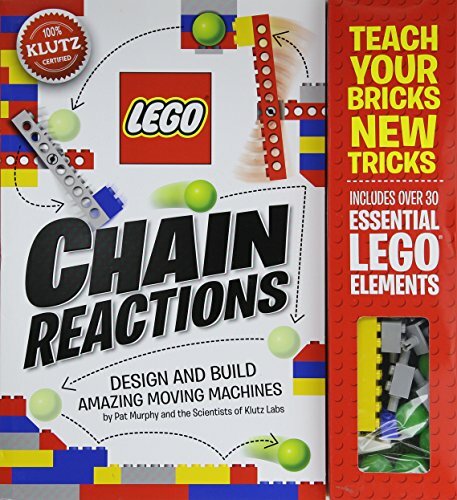 Be sure you don’t miss LEGO Chain Reactions . LEGO and Rube Goldberg? What an awesome combination! We like Rube Goldberg toys so much we did a whole article on them! 12 Rube style toys that will get you and your kids learning. 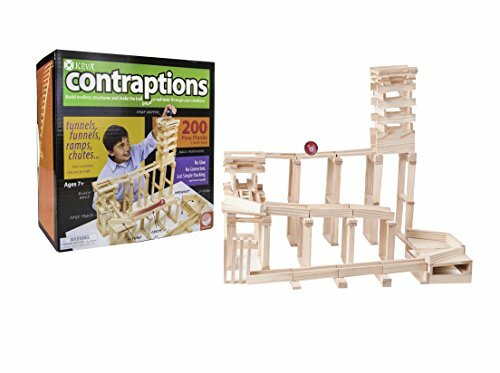 These machines are so much fun and I can tell you from our experience in making our own, they are packed with so much learning opportunities you simply won’t believe it. We had a blast! One of the best ways to really see what a Rube Goldberg Machine™ is all about is to watch a video of one. This video is full of Rube Goldberg ideas. It is a Christmas machine that uses toys! Here is a photography Rube Goldberg machine. What a lot to go through to take a photo! Can you imagine how long it took them to set this one up? Be Amused and Amazed with Rube Goldberg Video is a great collection of videos. We also gathered together videos on the Rube challenge to Open a Door. Be sure to click through for more video favorites. 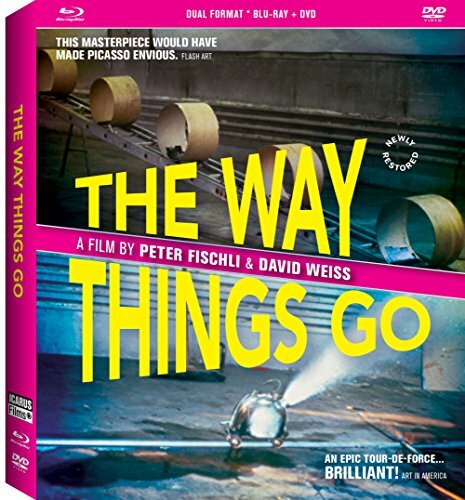 The best video of all is this one called The Way Things Go. Full of fire, air blasts, objects moving and flinging about. It is truely a 30 min chain reaction extravaganza. We have watched this many times and it is about impossible to take your eyes off it. I was super excited to see a new version available with both DVD and Blu-ray! If you are a fan of awesome contraptions this is a must see. Rube Goldberg machines are fun to build yourself. If you liked the machines in the videos and games you should totally give it a try. Using simple household items such as LEGO, dominos, books, marble runs, paper tubes, boxes, sticks and more you can create a machine. Have fun, experiment, imagine and invent! There is a ton of learning going on when creating one of these awesome chain-reactions. Here is a wikiHow giving some steps and ideas for building your own machine. If you really get into it and want to start entering competitions here is a great manual that will help you out. Last but certainly not least is the Official Rube Goldberg Website. Each year they hold a Rube Goldberg Machine Contest (RGMC) which is a national competition for students in middle school through college for building the “most elaborate and hilarious Rube Goldberg Machine.” You can also view some of Rube’s drawings, watch a few videos and find out more about the contest. We put together a comprehensive list of Tasks & Materials to Make Your Own Machine. Be sure to check it out if you decide to make one. It is a great resource for getting started. I hope you will use this Rube Goldberg Machine information guide to make your own Rube Goldberg Machines™! There is just so much learning wrapped up in one of these interesting little machines and they are simply a ton of fun to mess around with. Plus, you get to discover the joy of doing things the hard way LOL. 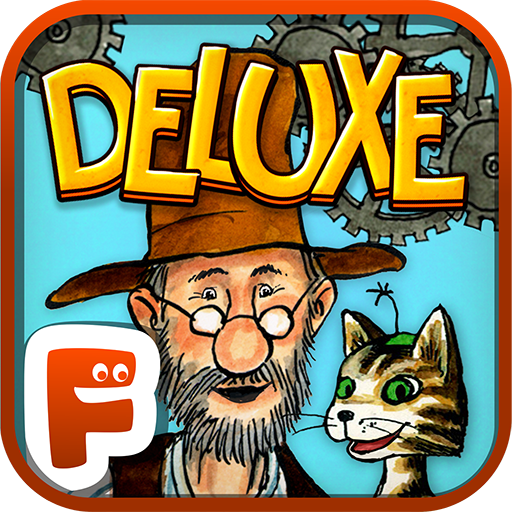 Sheila, thanks for mentioning our Rube Works: The Official Rube Goldberg Invention Game app here! I wanted to let you know that we also do Skype in the Classroom visits… Rube’s granddaughter, Jennifer George, a fabulous Rube Goldberg contest winner, Zach Umperovitch, and me, Rube Works designer/producer. Thanks for stopping by David. We love Rube Goldberg and were happy to mention the app you created. Thanks Sheila! 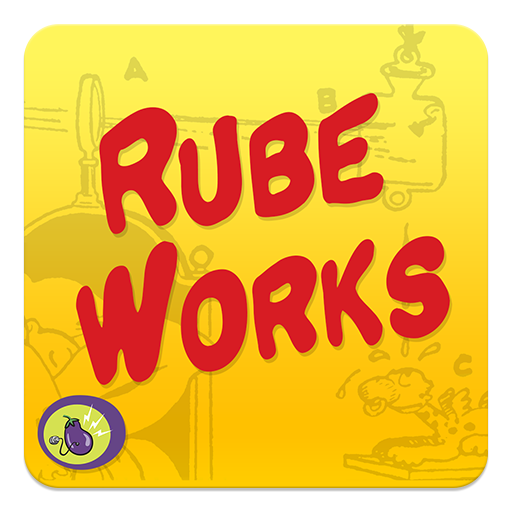 Oh, and in addition to iOS, Rube Works is also available on Android, Mac, Windows, and Linux. I am happy to see that RubeWorks is available on more platforms now. I will take a look. I’m impressed by your enthusiastic reply, Mr. Fox! I’m teaching a Rubr Goldberg unit for 7th grade at our homeschool co-op, starting tomorrow. I wish I’d seen your comment earlier! Best of luck In your continued work! My oldest son has really started to get into building so I’m excited to share these resources with him! Great Jodie, I hope he enjoys them. Yes, that was a good find. We tried Amazing Alex and it is a blast. I am not sure why I have not heard of Rube Goldberg machines, but this looks like information my boys will love. I cannot wait to show them everything you mentioned here. They love Legos so I will get them to try to build a machine using those as well. Thank you! Just Plane Dad has always been fascinated with setting these up and playing with them. I can’t even begin to get my mind around how one makes this. What a great sensory tool for kids though. 🙂 yes, some of them are pretty complicated but they are a ton of fun. Oh I need to pin this for when The Boy is bit bigger! Thanks for sharing with the #pinitparty. This was a great post Sheila! I’ve been making up a list of activities for us to do on spring break, and I think, out of all of them, this one might just top the list of fun. I think the whole family might get involved building a machine! You always share such creative and fun ideas, your site has become my first stop when looking for activities for my boys. They love your ideas as much as I do! These are cute ideas and apps. My grandson will be excited to try them.